From April 17-19, 2014, the Tufts China-U.S. 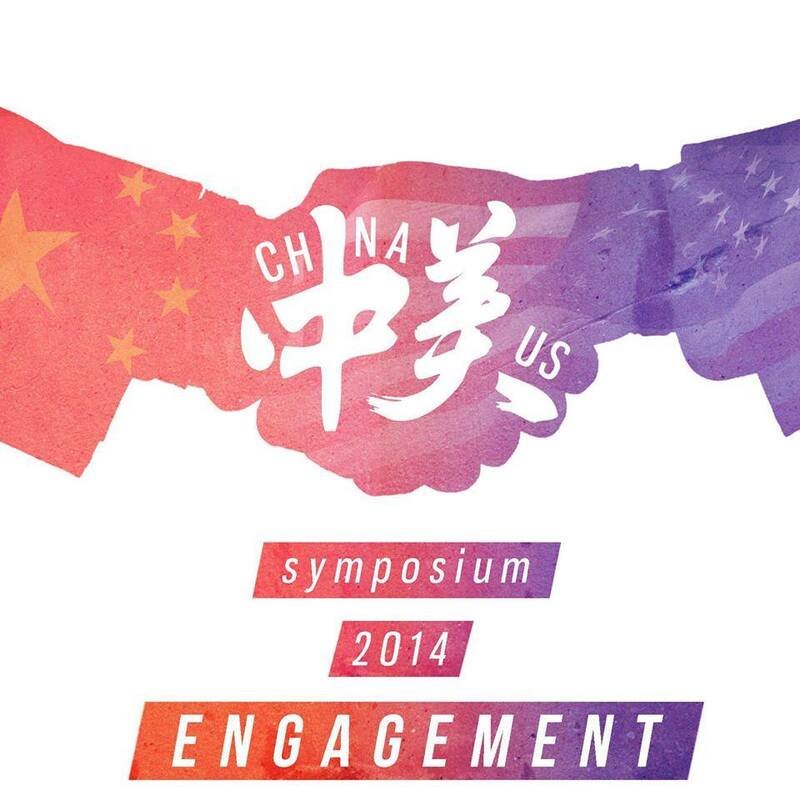 Symposium explored Engagement in the context of China-U.S. Relations. As China’s power grows, albeit in uncertain ways, how and with whom this Asian giant engages is critical. These questions were examined from various perspectives – including from an economic, social, and security stand point – throughout our panels, keynote addresses, breakout sessions, and other complementary events. The Seventh Annual China-U.S. Symposium was made possible with the support of the Tufts Institute for Global Leadership (IGL), the Alliance Linking Leaders in Education and the Services (ALLIES), the Tufts Community Union (TCU), the Tufts Asian Studies Program, and the Office of the President. Download the 2014 CUS Program book. The 2013 China-US Symposium sought to examine the role of trust in the economic, security, and cultural relationship between China and the United States in the context of an interconnected and quickly-changing world. This relationship has often been defined by its mix of deep interdependence as well as strategic rivalry, with dramatically varying levels of trust in different arenas and different eras. Today, trust or its absence can push the whole world toward prosperity or penury, peace or war, and harmony or hostility. The sixth annual China-US Symposium examined the impact of trust on the bilateral relationship in several different venues. The conference centered on four panels dealing with Internet freedom, the Korean peninsula, military security, and Chinese investments in the United States. The symposium also included three keynote speakers, several options for interactive breakout sessions, and two professional networking events. For our fifth annual symposium, we explored how the 2012 leadership transitions in China and the United States would affect their economic, security, legal, and diplomatic relations and interests. 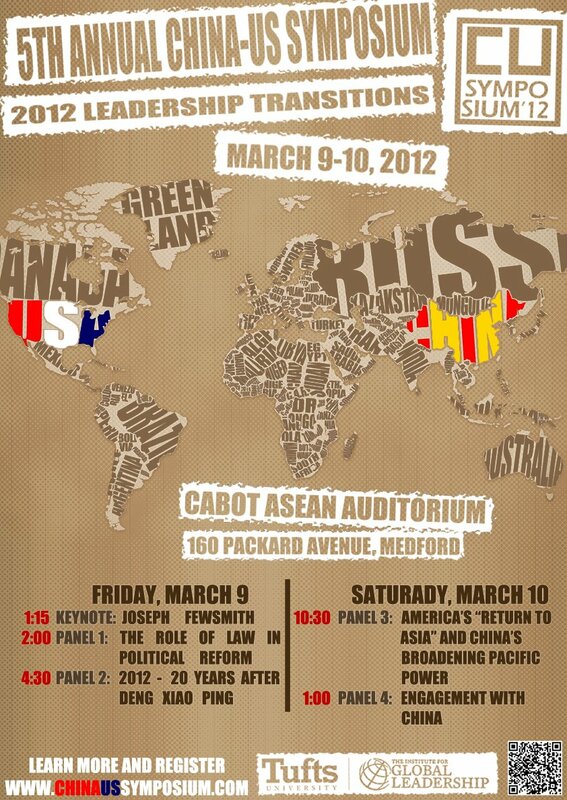 Four panels focused on the facets of China-US relations. Thank you to all who made the 5th Annual Tufts China-US Symposium a stellar success!